"Divine Fortune, Loving His Job"
It's been a year since the Steeplechasing world lost one of their stars. Following Divine Fortune and his many victories and watching the heart and soul of a champion here at the Iroquois Race Day was a privilege over these past years. I'm so glad I got to follow his story even though from afar. I had a chance to see how much this horse was LOVED by Keri Brion Wolfsont and all of his connections. I only had a chance to experience Fortune from behind the lens of my camera, but he was an inspiration. When I had some time to choose a painting that I wanted to do and was not commissioned to do....I knew it had to be Divine Fortune. So here he is, inspired by that rainy day here in Nashville with Darren Nagle riding....ears up and ready to run. Music Country Grand Prix for SADDLE UP! 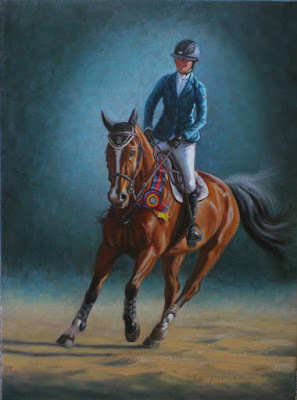 Here is my oil on linen painting of Colleen Acosta and Diamond. They were last year's winners of the Music Country Grand Prix at Brownland Farm in Franklin, TN. This Saturday will be the 2016 Music Country Grand Prix again...a wonderful event to support SADDLE UP! 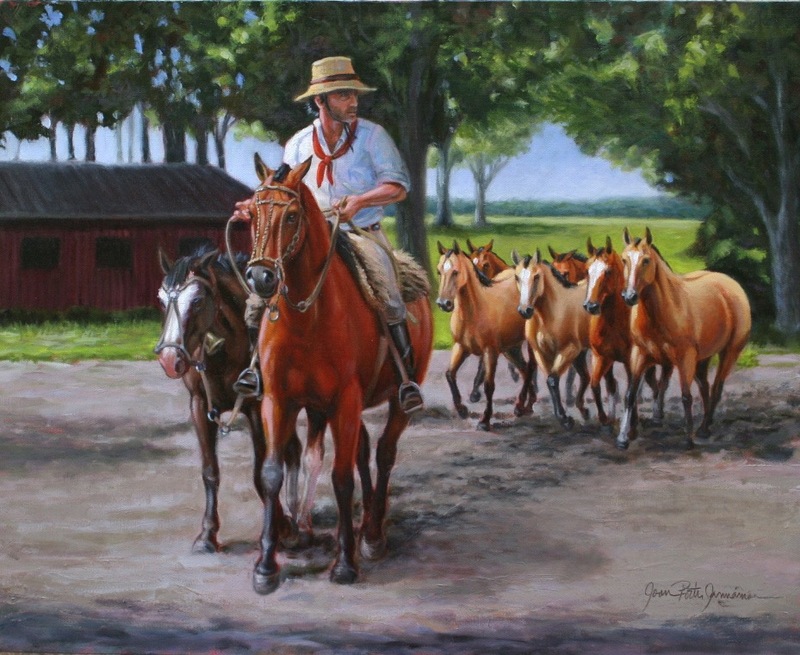 Nashville's premier therapeutic Riding program located in Franklin, TN. It may be a little rainy this weekend, but that never stops horse lovers, we all know that! Find your rain boots and come on out and support this worthy cause! I was able to finish this painting before Rolex after all! It is a 16 x 20 Oil on linen. It was inspired by seeing this winning team compete at Rolex in 2014. 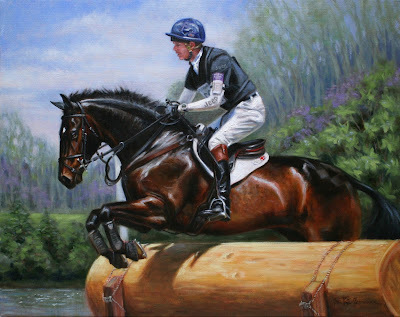 Carol Gee of Fernhill Sport Horses introduced me to Catherine Witt a few years ago after Parklane Hawke's win at Rolex. This was a painting that I wanted so much to complete as I'm a big fan of Catherine Witt's horses ( in this case Bay My Hero) and William Fox Pitt. I am hoping this painting acts as a big shout out for his continued success as he comes back into competition after his injury last year. Eventers are T O U G H and resilient athletes and an inspiration to us all for working through life's ups and downs. Best of luck and safe trips to all our competitors this year!